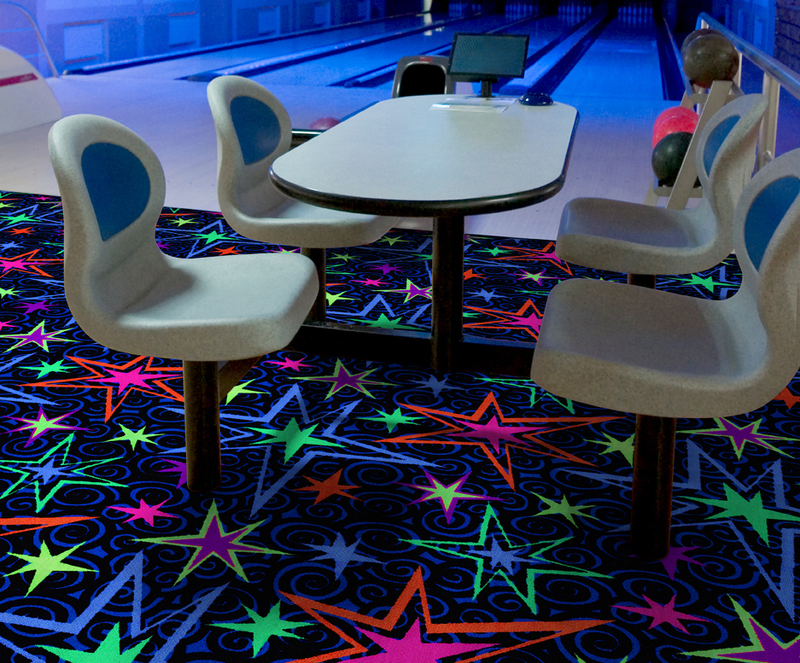 Neon Lights™ is an industry-first collection of fluorescent carpet tile designed for commercial amusement facilities and family entertainment centers. These designs combine stunning colors, exceptional durability, and a state-of-the art cushioned backing system to create one of the most innovative and unique floor coverings available. 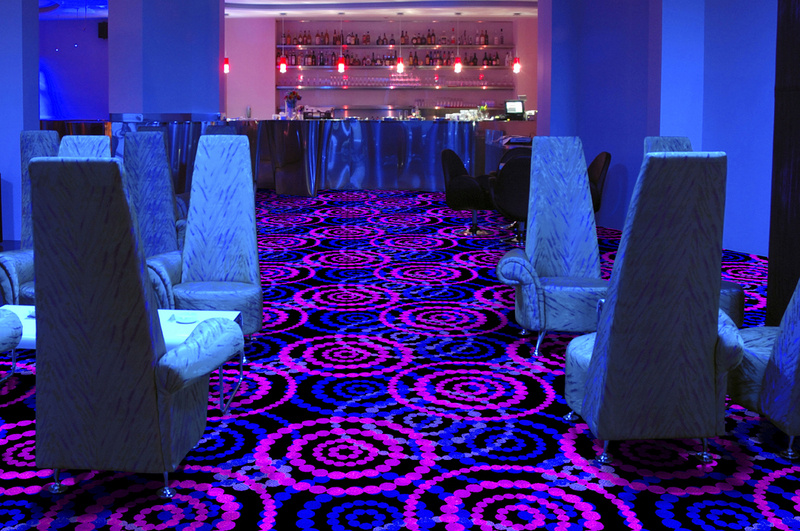 Neon Lights'™ StayTac™ Backing System offers distinct advantages. This unique system incorporates an attached commercial pad for support as well as a high-friction coating that keeps tiles firmly in place...no adhesives required! Delivery, handling, and installation are simple, and tiles can be repeatedly removed or replaced at any time. 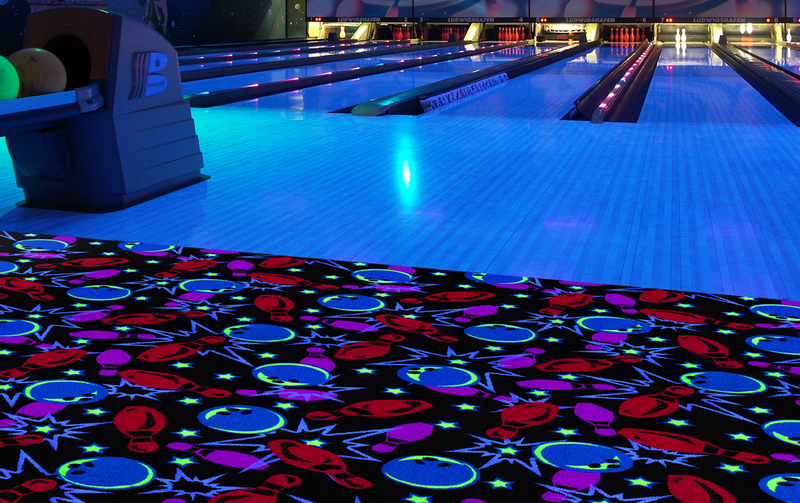 Neon Lights'™ guaranteed pattern match ensures a uniform installation with no visible seams. 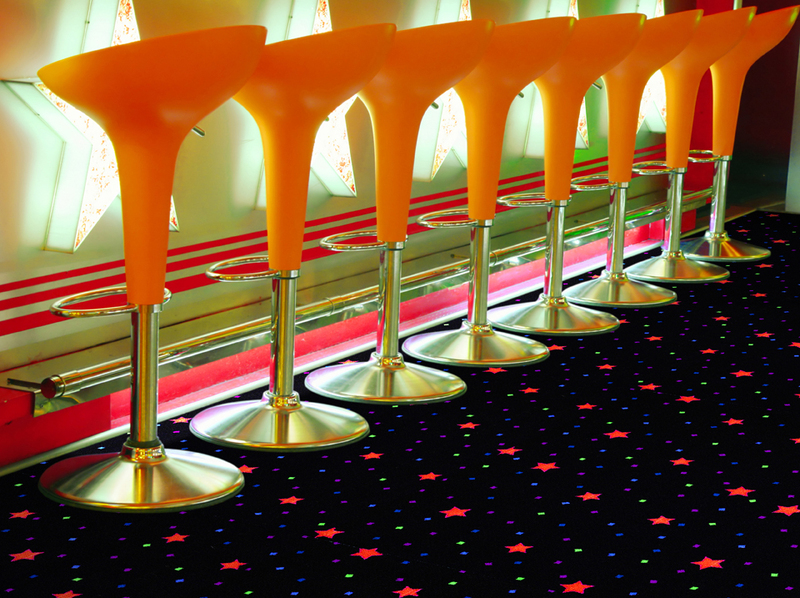 And with over 30 styles from which to choose, Joy Carpets boasts the best selection and service of fluorescent dyed carpet tile in the industry. Neon Lights™ is easy to install, easy to maintain, and comes with the most comprehensive commercial warranty package in the industry. When it comes to creative and eye-catching interiors, remember to choose Joy Carpets for the fastest way to a fantastic floor!